For the area, see Bohemia (area). Bohemia is one of the three Central European powers and possibly the biggest rival for the Imperial Crown of the Holy Roman Empire, which the Austrian Habsburgs seem to claim by right. Divided between German and Czech lands, Bohemia is large and rich but has larger and richer neighbours in Poland, Hungary and Austria. Bohemia also has Silesia as vassal. It is traditionally considered the only kingdom in the Holy Roman Empire, resulting in the rulers of Brandenburg-Prussia being addressed as "Kings in Prussia" until the end of the empire in the early 19th century. Bohemia's events focus on various historical events in Bohemia's history, especially the Hussite movement. Bohemia is a Czech culture nation located to the north of Austria - historically, they had a lot of power over the diplomatic antics of the Holy Roman Empire and were a very important nation in the Catholic Reformation, but never grew up into the diplomatic powerhouse of the Habsburg family. This position and development is largely the starting position of Bohemia, where it will be an influence to the political games of the Holy Roman Empire, but without devoting its resources successfully, they'll eventually fall behind the more capable family of the Habsburgs. Many of their National Ideas reflect the desire to be a progressive, stable country, and playing as Bohemia is one of the most (relatively) stable experiences a player can have. With extra tolerance for Heretics to winter through the Reformation, as well as the rare bonuses of yearly legitimacy and reduced advisor costs, coupled with reduced national unrest and stability cost modifier, Bohemia will rarely find itself in uproar, and can therefore devote its resources to its goals. In the year 1444, Bohemia starts off as a stable country and an elector in the Holy Roman Empire, from here on referred to as the "HRE", with Austria and the Habsburgs as the Emperor. One of the most obvious goals and one of the safest ways to expand the player's influence and power is to aspire to become Emperor. Being an elector means the player already has one vote guaranteed, which can seriously help in the politics of the HRE. Getting other electors to vote for the player can be done both through military or diplomatic means. While the military option to quickly enforce vassalage on an elector and demand its vote is the shorter route and almost guarantees a vote, it does come with the penalties of aggressive expansion and reduced relationships with other electors and HRE nations. Aggressive expansion in the HRE can be minimized, and votes secured, by declaring war and vassalizing the lowest-base tax electors first. To do so, it may be necessary to declare war on a neighbouring nation and pull in the desired elector into the war. Diplomatic means will take longer, but have little to no penalties if the player is patient; however, electors cannot be diplomatically vassalized. If Bohemia devotes its resources towards this goal, such as taking diplomatic ideas and forming alliances or granting guarantees to the independence of nations, Bohemia will become a diplomatic force that can rival that of Austria and the Habsburgs. Alternatively, Bohemia can choose to enforce its position in the Holy Roman Empire by force, using its diplomats to forge claims instead of alliances, and keep nations in an iron grip of vassalage, using the combined strength of nations to rival the military power of the Emperor, while also undermining its influence and authority; however, note that vassals may declare war at the same time if they collectively become too strong and think that they can win against their overlord and loyal vassals, so it may be helpful to maintain alliances with powerful nations outside the HRE in order to deter them from inciting an independence war. There is a small monthly penalty to Imperial Authority for having electors as vassals, which practically means that the player cannot pass reforms. However, once the player has become Emperor with vassalized electors, the player can diplo-annex them, and appoint new electors who are the player's religion and will vote for them. A Bohemian player with naval or colonial ambitions can also choose to expand northward to the Baltic. 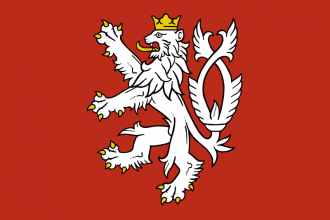 The province of Neumark is held by the Teutonic Order in 1444, and since the above-mentioned is most likely to be preoccupied with Poland-Lithuania, it is an easy get. Pomerania can be vassalized or annexed outright, granting access to the Baltic Sea and allowing further conquest toward Denmark. It is important to be prepared for the possibility that Austria may take a mission to force a personal union on Bohemia. Bohemia will find itself with a serious desire to reform the Christian religion far before the actual Reformation hits; the Czech lands house the movement of the Hussites, a religion that resembles the Protestant movement, and they intend to have their voice heard in the Bohemian court long before the Protestant movement. While it's possible to stay loyal to Rome and the Catholic religion, a more natural and expected course is to agree with Hussites and increase the reformation desire. In fact, even if Bohemia continues to follow the Catholic faith, having a Protestant province after the reformation has calmed down a bit can trigger an event of a Protestant King on the Bohemian Throne, and gives surrounding catholic nations a Casus Belli. Generally speaking, Bohemia will find it easier to transition into the Protestant religion than most larger nations in the HRE. After the Reformation, and during that time setting, many nations will have grown their borders and have either absorbed their smaller rivals or been annihilated themselves. The HRE is usually exempt from this pattern due to the politics and diplomacy involved, but the Emperor should have had plenty of time to use his authority to install reforms. Whether this Emperor is Bohemia or some other nation (Austria most likely) is dependent on each individual game and the events that transpired, but generally speaking, the Empire should see lesser individual nations and some electors or other small prince states that have grown in the borders of the HRE without becoming a substantial threat to the larger nations of Europe. For Bohemia to grow in this era, the decision is again up to the player: it can continue to solidify its HRE Authority and set the ambition to turn the HRE into one singular, powerful nation, or use military means to expand around the HRE. Because of the starting location of Bohemia, colonization and trade are very costly and lengthy investments that are generally not worth its reward, which leaves Bohemia to continue dealing with European affairs until the end date of 1821. The expansion of Bohemia westward after the Reformation will not be a very easy task, as uniting the HRE will likely uproar the Austrians and the Italian minors (but they will likely leave the HRE by 1500), and in all likelihood, the military power of the Emperor must be used to subdue those nations if a singular HRE nation must be formed. Poland is in the same West Slavic cultural group, so expanding into its territory is an strong option, with Muscovy/Russia and/or Ottoman help. These allies will also be crucial in the Holy War that Bohemia is in a good position to lead (as Protestant Leader). Ultimately, if successful at forcing a Protestant Empire and enacting all of the Imperial reforms, the Bohemian player may want to seriously consider Humanism as an idea. This is because its Czech culture will not accept all of the many Germanic ones after unification, and a culture shift to a Germanic one would be near impossible (requiring 50% of the total population to be a particular subculture).